I am still patiently waiting for Tree of Savior! 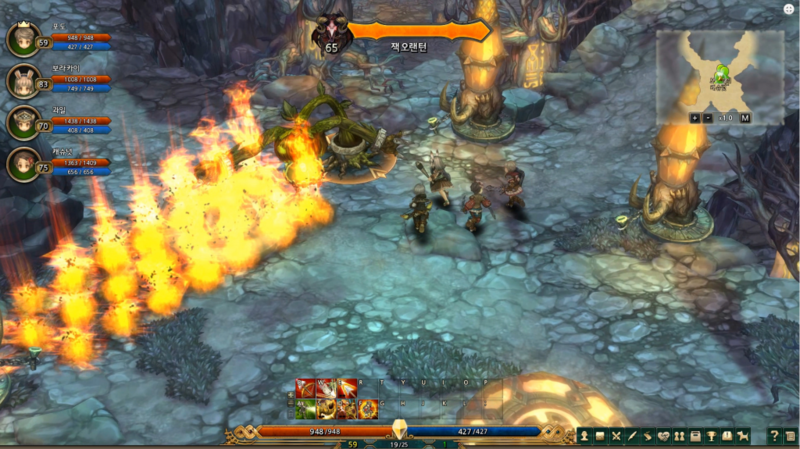 Tree of Savior is a MMORPG being created by IMC Games and it is the spiritual successor to Ragnarok Online. Recently I noticed that IMC Games actually have created a formal website for Tree of Savior rather than just their original blog! However, they decided to stop updating their English portion of the blog for the time being to focus on working on closed beta. IMC Games also mentioned on their site that they are looking to work with different publishers for different locales. This worries me just a tad bit because it will mean that the game may be different based on location! Regardless the trailer from G-Star 2014 looked very promising… sort of like a Diablo MMORPG, which I have always dreamed for. I can’t wait for this game to come out! Anyone else looking forward to this coming to the US? lol so i joined the new ggRO server today ROFL. The MEMORIES! I blame you Benny for getting me into RO way back in college. Sue Yoo new ggRO? We were playing iRO for awhile since we feared wipes lol.. Also… don’t blame me blame the game! ggRO is prerenewal… Casey Brewer would like it lol. It has a bunch of the league of legends pros lole hotshotgg, dyrus, cookie, lilypichu. That crowd. But ya its weird playing old old skool ro. Alex Hwang if it is F2P, then I don’t mind the cash item. Also if it is non account bound and able to be traded that would also be fine. The spenders can buy it and us gold farming selves can probably buy it off them just like in iRO. lol Benny Soo I saw ggRO and almost played it. The server was actually started by HotshotGG, who was one of the original pros in League of Legends. I might give it a shot when they add second classes. I just want to play a Stalker and ggRO doesn’t have those classes yet. yeah theres a lot of fun builds you can do with stalker. I personally like caster stalker even though it’s not the strongest stalker build. So they don’t have Ninjas in yet either than? This is like the original iRO then pretty much from when we used to pay to play for real. I’m keeping my eye on it lol I love private RO servers and that one has a lot of potential. Most of the server specs are things I look for in a private server. Looks good if I wasn’t so set up in iRO already. New RO servers are always fun to jump in. Tim Ch might not like this though due to the non-renewal. I admit renewal made leveling easy mode. I just couldn’t deal with the rubberbanding in iRO. I tried so many fixes and nothing fixed it. Casey Brewer so odd that I didn’t really have any issues with it. It must have been when the level event was going on since the population was massive with people constantly creating new accounts.